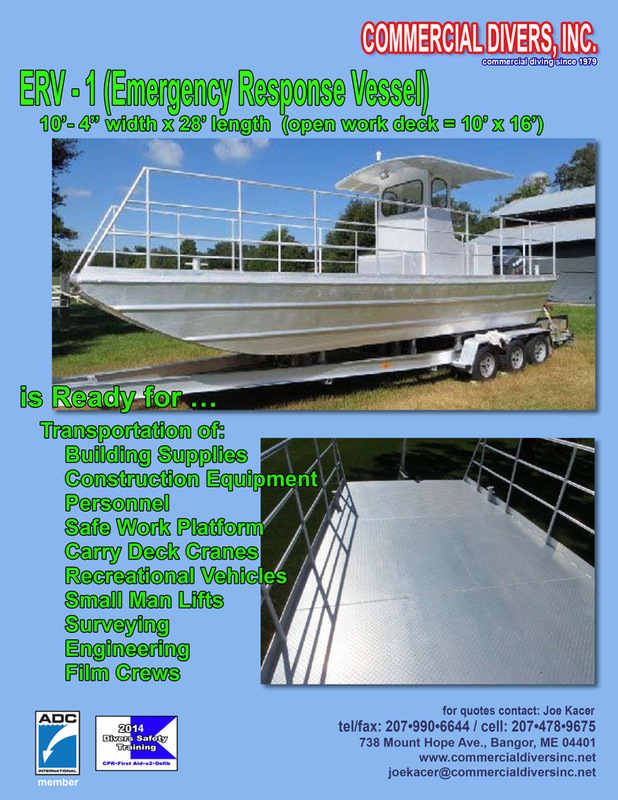 Commercial Divers Inc. is growing it's fleet of boats with the ERV-1. We can now respond quickly to you site with a safe work platform for all aspects of construction. 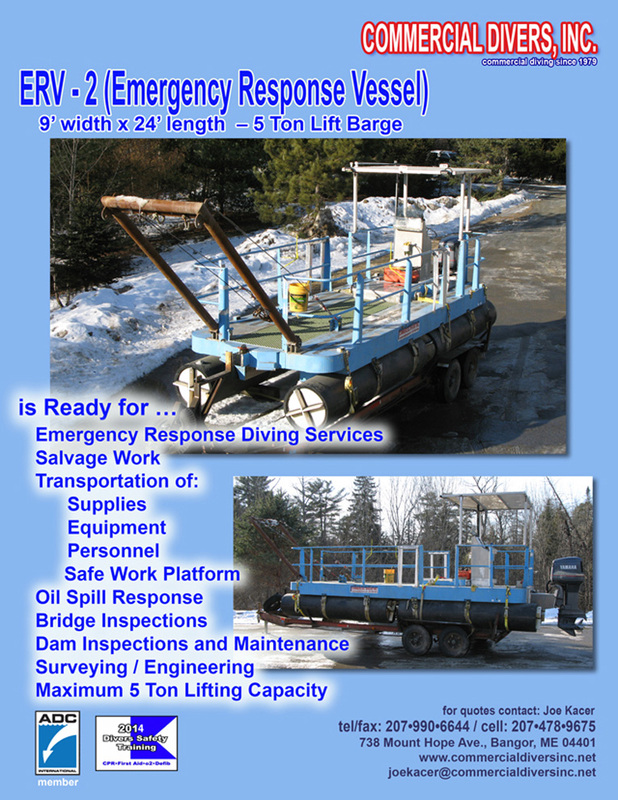 ERV-1 can carry Concrete Buckets to Supplies and even a Carrie Deck Crane. 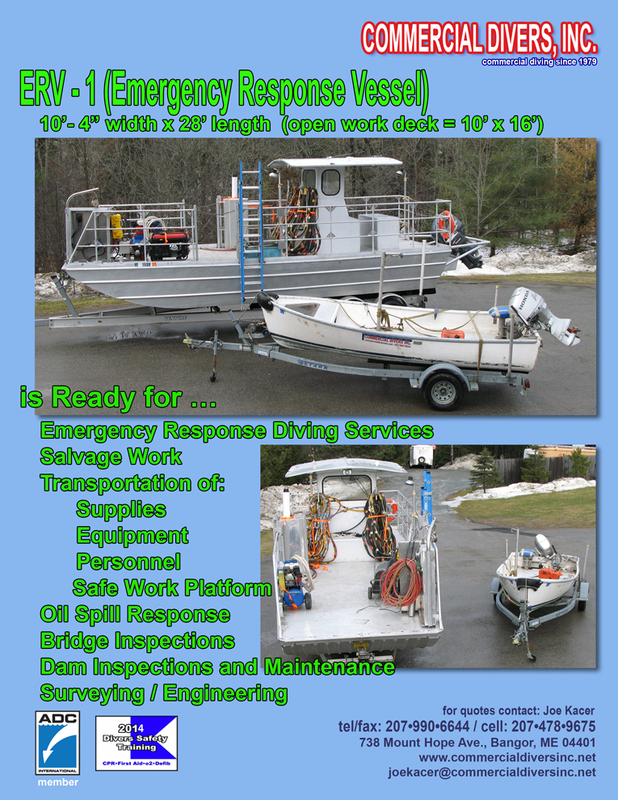 It is set up for Emergency Response Diving to anywhere in New England.